Our Dynasty Series offers much more than meets the eye. At first glance, you'll find us attractive, but let your look linger a little longer. With over 40 modifications AND the ability to move to Pinnacle for custom cabinetry pieces — you're sure to find what you're looking for in a semi-custom cabinet. Dynasty also affords a fabulous cabinet paint color program, bringing the availability of every national paint manufacturer to you — adding fascinating coloration to your rooms. Make your dreams come true with Dynasty. 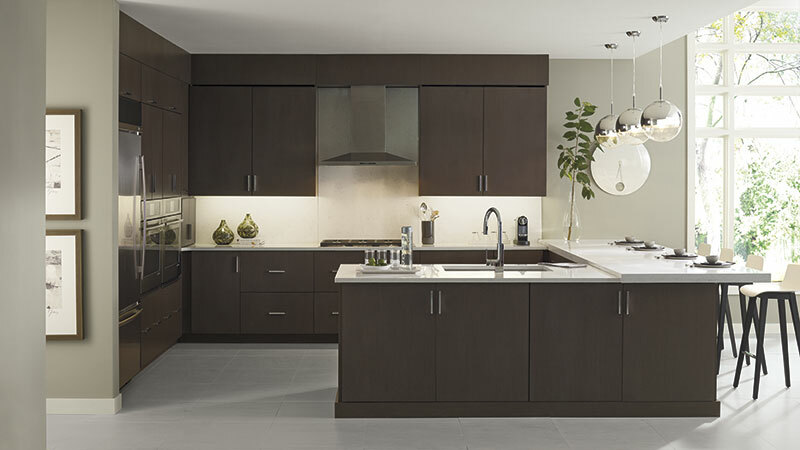 With over 40 modifications that define semi-custom cabinetry, your Omega designer will enjoy the flexibility that the Dynasty Series brings to your project. You'll reap the benefits of not having to order a custom cabinet in most instances. For those times when Pinnacle is the only way to create your dream, up to five Pinnacle Series custom cabinets can combine with Dynasty on your cabinet order!